For volunteers – >The food pantries welcome as much food, time or money you can donate. 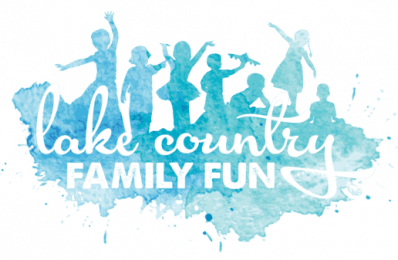 So, learn about all of the different types of opportunities and find the best ones for you/your family. There may be training/class requirements to volunteer. For recipients – >May require current identification, social security card, and/or income information to access service. Please check with your local food pantry for specific requirements and availability. 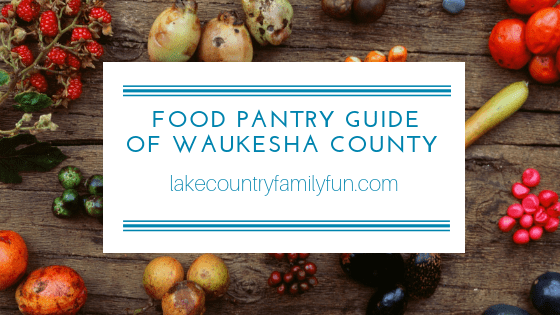 We have created a guide of the food pantries in Waukesha County. In researching these food pantries, I was taken aback by all the amazing things these pantries are doing. In addition to food, they provide many other needed items (toiletries, paper products, business supplies). Many provide shelter as well. Some provide counseling and Bible studies. The goal is always to help community members who are struggling and provide resources to better improve their quality of life. These local Waukesha County food pantries are simply amazing! There are SO many ways to help! You can donate food, time, resources, and more! Find one close to you and call to see how you can get involved today. Some locations allow you to bring children along to help – reach out for these details. 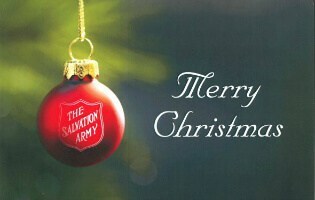 You can read the COMPLETE list of 2019 giving opportunities with the Waukesha County Salvation army here! Day-to-day pantry operations are supported entirely by generous and dedicated volunteers. Volunteers deliver food to homebound clients. The Food Pantry is governed by a volunteer Board of Directors and works closely with the Hunger Task Force in Milwaukee and the Waukesha County Nutrition Coalition. A small staff provides oversight to all aspects of fund and food-raising efforts, fiduciary responsibilities, donor database management, volunteer recruitment and coordination, and administration of government food programs, as well as food purchasing, inventory and safety regulations. This food pantry was the recipient of the 2014 Large Non Profit of the Year – Waukesha County Executive Awards. To volunteer, email Kate Meyer, volunteer coordinator at kate_meyer@usc.salvationarmy.org. You can also reach out to Amber Mussomeli, family services case worker and food pantry manager, at amber_mussomeli@usc.salvationarmy.org. Volunteers are needed every week to collect, sort, warehouse, inventory, package and help distribute food to those in need. Hours of operation are Tu/Wed 1-4 and Fri 9-12. The Salvation Army of Waukesha was founded in 1894. It operates the county’s largest Men’s Homeless shelter. They serve free, hot evening meals to about 300 people per week on 3 nights. There are always free loaves of bread available. They are completely donor support – Red Kettles, direct mail, special events, and grants. The Women’s Center was founded in 1977. The mission of The Women’s Center is to provide safety, shelter and support to women and their families, and to facilitate their development. They also have a hotline staffed to answer questions and offer support 24-hours a day, seven days a week. Our Hotline number is 262-542-3828. The Hope Center provides a Day Center with breakfast and lunch served. The center is opened to the community from 8:00 am until 4:00 pm, seven days/week. The center also serves evening meals Mon, Wed, Fri at 5:30 pm and Sundays at 2 pm. We currently partner with St. Vincent de Paul, Food Pantry of Waukesha County, The Emergency Food Assistance Program (TEFAP), local restaurants, area congregations, and individuals to offer a hot, nutritionally balanced meal three times a week. We feed approximately 90-100 men, women, and children at each meal. In 2015, we served 12,544 evening meals to almost 9,000 individuals. Over 13,000 volunteer hours from our community and area congregations helped in serving those meals. Through the continued support of area congregations and community during the year, a total of $703,427 worth of food was donated. Every meal served allows our guests to save money, which in turn can help provide shelter. The social component is priceless in some cases. Our administrative office are located at 111 E. Main St. Waukesha, WI 53186,inside the St. Mathias Church. Please use the entrance on Pleasant St. Our office hours are Monday-Friday, 8:30 a.m. to 4:30 p.m. The Hebron House of Hospitality provides emergency housing and related services to people in transition with the basic needs of shelter, food and personal support. The Hebron House of Hospitality is offering two warming centers at both their Hebron House and Jeremy House locations. Individuals are allowed to stay for up to 2-hours at a time. The organization has added 18 additional shelter beds for use throughout their network of shelters. Pantry is open 2 1/2 hours per week: 1:30 – 3:00 pm Wednesdays, and 10:00 – 11:00 am Saturdays. They provide temporary & emergency food assistance to anyone in need in the AHS School District. Clients may visit 2 times/month & must show proof of need after their 8th visit. Pantry is open every Tuesday morning from 10:00 am – 12:00 pm and every second and fourth Tuesday from 5:30 pm – 7:00 pm. If you wish to donate to the food pantry, non-perishable items may be deposited in the front right corner of the St. Charles narthex. Donations such as laundry detergent, toilet paper, toothpaste and many more items are essential to the everyday needs of the St. Vincent de Paul patrons. Drop offs available during business hours. If you wish to be a drop off site, temporary or permanent, for the Pantry please contact us to make arrangements. The mission of the Abundant Life Food Pantry is to assist and provide supplemental food to the families or individuals within the Oconomowoc and surrounding communities that have been impacted by financial difficulties. We are open twice a week to accommodate the needs of the community we serve. The Abundant Life Food Pantry seeks to collaborate with those that share our mission. Our mission is to provide food items to individuals and families in need who reside within the Oconomowoc Area School District. The Pantry is a non-profit organization. It is run by volunteers with no paid staff. Pantry receives no government subsidies. 100% of your donations go to servicing those in need. Our Mission: To feed the people of the Muskego area and treat them with dignity, respect, and compassion. Keep us in mind when grocery shopping or when one of your small groups wants to do something nice for others at the holidays. Again we wouldn’t be able to help so many without the support of our neighbors, churches, and community partners. Muskego truly is very generous. The Mukwonago Food Pantry’s mission is to provide food and support to individuals and their families and to facilitate their development. All individuals and families should have adequate food for their needs and no one in the communities we serve should be allowed to sacrifice nutrition regardless of their circumstances. We are a resource providing direct on site programs that focus on helping recipients to overcome the obstacles that led them to seek help. Services and resources offered by other agencies that will aid our clients are offered on an as needed basis. About 200 families a month are served by the food pantry. Because of the current economic conditions, the number of families needing assistance is growing. The food pantry is currently struggling to serve the number of families in need. Each week those supplies NEED to be replenished. Donation barrels are located inside all three Pewaukee Pick-n-Save locations. If your business or group would like to sponsor a food drive, please feel free to contact us for donation ideas. Your assistance would be greatly appreciated to help our neighbors in need. We find that during the extended-summer season – from May through October – is the most difficult time for us to keep food on our shelves. School is out, so demands are up. Families are on vacation, so donations are down drastically. There is a large donation shed directly next to our side door, at N64 W23760 Main St., where items can be placed at any time. Open 10 to 11 a.m. Tuesdays, Thursdays and Saturdays. Our Mission is to gather and distribute food to those with acute or chronic need who live in the greater Menomonee Falls area. We strive to raise awareness of hunger in our community and provide volunteer opportunities for the community. 501(c)(3) organization that provides food for those in need in Menomonee Falls, Lannon, Colgate, Hubertus, Richfield, Butler, Brookfield, and Germantown. The Food Pantry at St. Agnes has been operating successfully for over ten years to help people in emergency food circumstances as a result of illness, unemployment, divorce or other unfortunate situations. It offers short-term emergency assistance. Money and food supplies for the Food Pantry are supplied by faithful St. Agnes parishioners who bring contributions to Mass on Sunday. Contributions to the Food Pantry are always welcome. If you are a food pantry on this list and have more details – please email us. We’d be happy to add them. If you are food pantry in Waukesha County and not on the list, please email us your information, and we will gladly add your information. Thank you!